The character of Gomez Addams is complex in its make up but simple in its execution. He adopts an unconvetional lifestyle, likes to settle scores with a duel and boasts that his previous accusations of murder were never proven. That said, he is an individual with a strong sense of self and a man of principle. Everything that Gomez wears reflects that personality. His style is traditional, elegant, flamboyant, romantic but undeniably masculine. Donning a Gomez Addams Costume is very liberating. It will bring attention, admiring looks and make a great conversation topic. You may never want to go back to ordinary clothes again. Gomez Addams in a man of style and always commands attention. A striped suit is his choice of attire when attending public occasions such as the charity auction or the school play. When Gomez wears his striped suit he is the picture of sartorial elegance. This particular striped suit is the epitomy of Gomez’s personality and would be great as the basis of your Gomez Addams Costume. The stripes are a mixture of grey and purple which fits right in with the Halloween image and reflects Gomez’s flamboyant personality. This 3 piece suit comprises of a jacket, trousers and waistcoat. Made from a blend of polyester and cotton, it is wool like to the touch and soft. The two button jacket (blazer) has a vent at the back for a comfortable range of movement. It has external and internal pockets, beautiful lining and 4 buttons on each sleeve cuff. P.S Before wearing, don’t forget to pop the tacking stitches that keep the vent and the pockets in place. Nothing cuts a dash quite so much as a well dressed man. This is a quality, beautifully made, elegant suit. The finish is superb. It would form an excellent basis for your Gomez Addams Costume. Wear this striped suit and you will look and feel a million dollars; Gomez style. After wearing this suit, you may never want go back to T shirts ever again! Suitable for ‘black tie’ events. Such an elegant suit deserves the right shirt for the occasion and this dress shirt ticks all the boxes. It provides the perfect complement to your Gomez Addams Costume. With pleated front and a fit that will stay comfortable and in place, you will look and feel great all night. The cuffs are convertible, so you can button them or add a pair of Gomez style cufflinks. Made from a blend of polyester and cotton, this white shirt will always look good, hold its shape and stand up to multiple washes. It has a pleated front and cuffs that can be buttoned or fastened with cuff links. This is an ideal shirt to team with your Gomez striped suit above to complete a stunning Gomez Addams Costume. Well made, stylish and hard wearing, it will be useful also as part of your ordinary wardrobe for any formal occasion. Gomez Addams has a larger than life personality and a voracious appetite for everything he enjoys. His flamboyant dress is a measure of how he regards himself; he is a true peacock. 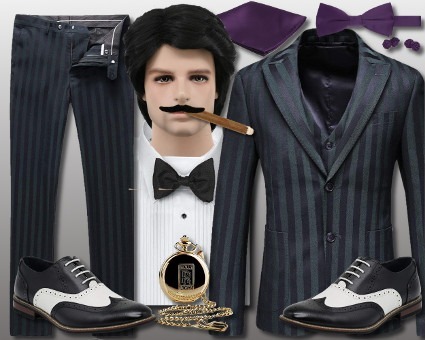 Your choice of accessories is a chance to play with this character and make this Gomez Addams Costume your own. We have selected a bow tie with matching cufflinks and kerchief in a delightful shade of Purple Aubergine. This brings out the stripes in the suit brilliantly and is a great color for Halloween. The question is, how bold can you go? Why not select a vibrant red to match Moritica’s nail color? Whatever color you choose, wear it with Gomez Addams Style. Pick a color that best reflects the Gomez you want to be. Flaunt your kerchief boldy in the breast pocket of your suit, flash those cufflinks and adjust that unashamedly flamboyant bow tie. You are Gomez Addams! Available in a range of colors, this set includes an adjustable bow tie in one size that accommodates necks ranging from 14 inches to 20 inches. 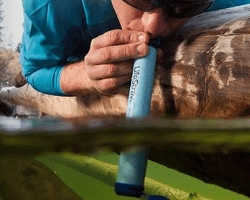 The bow measures 2.5″ high and 4.75″ wide. The cufflinks are neat, small satin knots while the kerchief (pocket square) is a generous 12 inches square. Amongst other things, Gomez Addams is a cross between a romantic, a force with which to be reckoned and a devoted father. His sartorial selections reflect his larger than life personality. This set of matching bow tie, cufflinks and kerchief are going to set any suit off beautifully and elevate your Gomez Addams Costume to a level worthy of the creature himself. Seriously, you will be irresistble! Think of Gomez Addams at a party and it immediately conjures up images of a well dressed man swirling around the dance floor with his glamorous wife Morticia. As a result, the shoes you select to match with your Gomez Addams Costume need to satisfy two essential requirements. 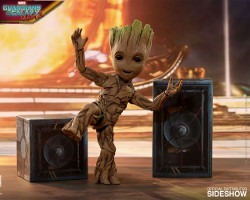 They must be stylish and they must be comfortable enough for dancing. A mixture of black and white, these uniquely stylish shoes are great for formal occasions, dance events. The pattern on the uppers is attractive and the laces co-ordinate beautifully. They carry a 0.75 inch heel and the insoles are lightly padded for comfort. Checkout the stylish soles which have been decorated in the same detail. These two tone dress shoes would make a great addition to your Gomez Addams Costume. They are stylish enough to wear to any number of events. You are going to look every inch Gomez Addams as you whisk Morticia around the dance floor whether it is a slow, romantic waltz or a temperature raising Tango. Don’t forget to dip. Max circumference 21 – 24 inches. If you have been blessed with the right color and hair length to role play Gomez Addams then styling your hair will need little more than a tub of hair styling gel. For those who have neither the hair length nor the right hair color, we recommend treating yourself to this black, short, curly wig to instantly transform into Gomez Addams. The black synthetic fibres are an ideal match for Gomez Addams. The adjustable wig cap copes with heads up to 24 inches in circumference. This black, short, curly wig will quickly transform your appearance and complete your Gomez Addams Costume. It is a quality wig that has been designed to cope with larger heads, up to 24 inches in circumference. The image of Gomez Addams is easily recognisable by his flamboyant dress style, his large cigar and his moustache. There are a few options open to you when adding a moustache to your Gomez Addams Costume. Firstly, you can grow your own. We recommend it. After all, it worked for Gomez. The second solution requires an eye brow pencil and a steady hand. If neither of these options are appealing, then we would recommend you treat yourself to a decent fake moustache. The moustache sported by the original Gomez Addams in the TV show was very different from the thin, bandit-like moustache sported by Gomez Addams in the movie version. This pack has six different style moustaches from which to choose and they are all self adhesive. Simply, select your moustache and fix in place et voila! Who is that devilishly handsome brute in the mirror? Why, it’s Gomez Addams! The pack contains 12 moustaches of 6 designs. The styles available include: smarty, rogue, scoundrel, casanova, partyboy and bandito. You get two of each design. Always good to have a back up. The moustaches are self-adhesive, look great and are easy to apply and remove. These moustaches are enormous fun for playing dress up and are the ideal way to add a moustache to your Gomez Addams Costume. They look the part, are easy to apply and equally easy to remove. Fun to wear and it will complete your Gomez Addams Costume in style. One of the most defining aspects of any Gomez Addams Costume is his cigar. Gomez is rarely seen without it. When playing any character, it is always useful to have the benefit of a prop. In the case of Gomez Addams, his cigar is a great prop with which to put across his character and you can have a lot of fun with it. There are a few options available to you when selecting a suitable cigar. If you are a smoker, you can always add an unlit cigar to your costume for a truly realistic touch. An alternative might be to invest in an electronic cigar. The Kaiser electronic cigar looks authentic but contains no Tobacco, no Nicotine, no tar, no Carbon Monoxide, no harmful toxins and no odours. The simplest alternative is to get your hands on a fake cigar. This Skeleteen Fake Puff Costume Cigar looks the part and emits a fake smoke (white powder) that disperses when you blow on the cigar. This fake cigar measures 5 inches in length. The tip resembles a lighted cigar. A white powder is emitted when blown giving the appearance of a real cigar. All materials are non-toxic. This fake cigar is the easiest way to complete you Gomez Addams Costume. It looks sufficiently cigar like to be convincing and gives the appearance of puffing smoke for an added realistic touch. Gomez Addams is the epitome of sartorial elegance. Whether he is wearing his signature pin stripe suit, donning a smoking jacket to relax in the study or performing the Mamooshka with his brother Fester, he alwasy dresses with elegance and style. It is unsurprising therefore that Gomez Addams chooses to wear a pocket watch; true gent that he is. Ostensibly a man of substantial means, Gomez Addams always dresses a million dollars so it is fitting that his pocket watch should appear to match. The watch we have selected for Gomez to wear is a Rolls Royce, 24 carat gold plated pocket watch. It is a quality time piece that looks far more expensive than its price tag suggests. This 24 carat gold plated pocket watch is quartz battery operated so will never need winding. It’s striking white dial with roman numerals and second hand are both eye catching and easy to read at a glance. The outer case is inscribed with the Rolls Royce logo and the chain matches the watch beautifully. Traditionally, the pocket watch is worn on the waistcoat (vest). Thread the chain through a button hole (fastened), secure the chain in one waistcoat pocket with the clip and place the watch in the other waistcoat pocket. The chain should stretch makestically across your waistcoat. Voila! Gomez Addams is individual in everything he does. The way he chooses to wear his pocket watch is in his jacket breast pocket. He places the chain through the jacket button hole, secured at the back by the clip and places the watch in the jacket pocket. Whatever style you choose, wear it with confidence and it will look right. This watch is truly something special. There is no question that a pocket watch will elevate your Gomez Addams Costume. The gold plated casing, beautifully designed face and quality matching chain suggest a man who takes pride in his appearance. Accessories add the finishing flourishing touch and this pocket watch makes a superb accessory to match with a Gomez Addams Costume. In addition to supplying the absolute finishing touch to your Gomez Addams Costume, this pocket watch will elevate any suit that you are wearing on any occasion. It is a quality time piece that the owner will treasure and admire always. This gold plated Rolls Royce pocket watch would make an excellent give for Christmas, Birthday, Valentine’s Day or indeed any special occasion. It can also be engraved with an inscription of your choosing. Excellent value.